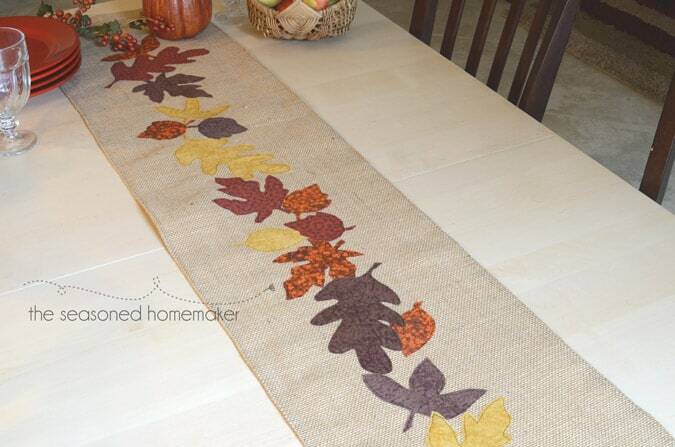 How about a fast and easy Fall Table Runner that you can whip up in about an hour for about $10. All you need is a little burlap and some fabric scraps. And, a couple more things which you may have on hand. Let’s make an easy table runner. 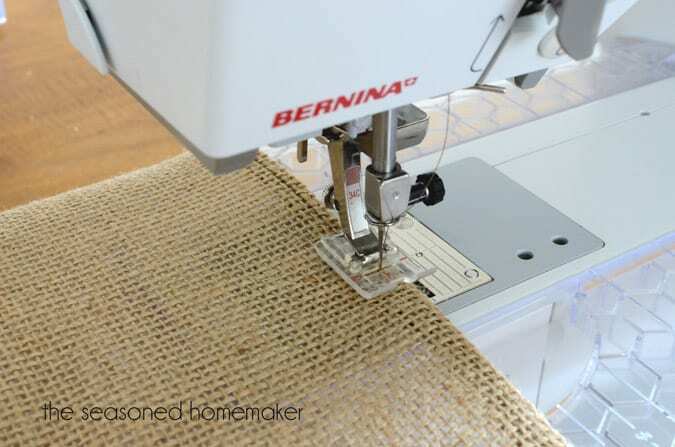 Cut the burlap into a 16″ x 65″ (longer or shorter depending on your table length) . Serge or hem the edges of the burlap. I purchased a set of $.99 leaf designs from the Silhouette Online Store. (affiliate) The software is free and you can print out the designs then hand cut them if you don’t have a Silhouette. If you don’t want to mess with the software, just type in Fall Leaves in your browser search box. You will find a lot of leaves you can use. Print leaves and then cut them out. Trace leaves onto the waxy paper side of the fusible web paper. DO NOT cut out the design on the traced edges. Instead, rough cut around each leaf, leaving a margin so you can cut once the fusible web is applied to the back of fabric. 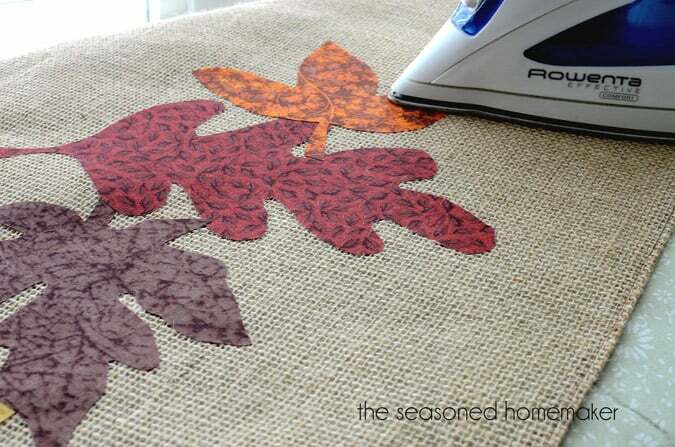 With a hot, dry iron, fuse the leaves, fusible web side down, to the back of fabrics. 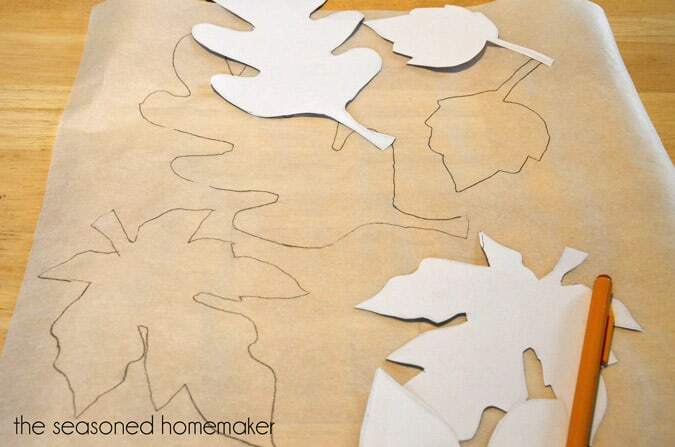 Once they cool off, cut out leaves on the lines you’ve drawn. 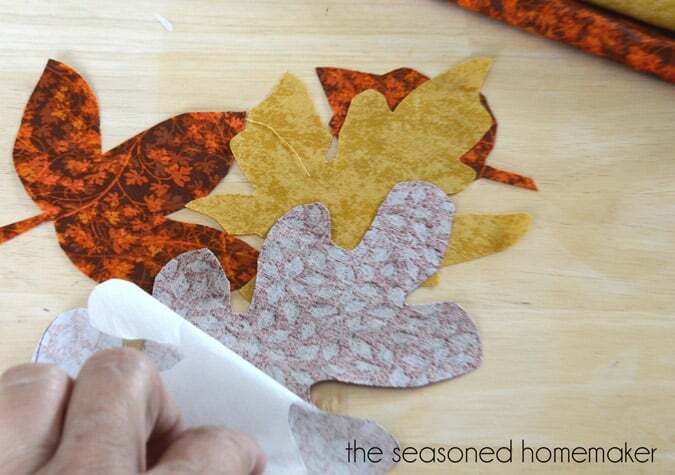 Remove paper backing from leaves. Layout the leaves in a random pattern on the burlap runner. Pin to hold so the leaves don’t move when you’re ironing them down. 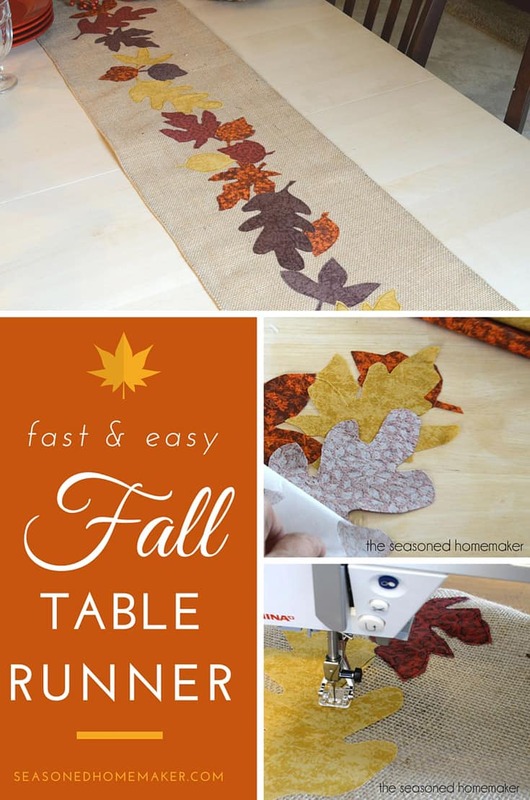 With a hot, dry iron, fuse the leaves to the table runner. 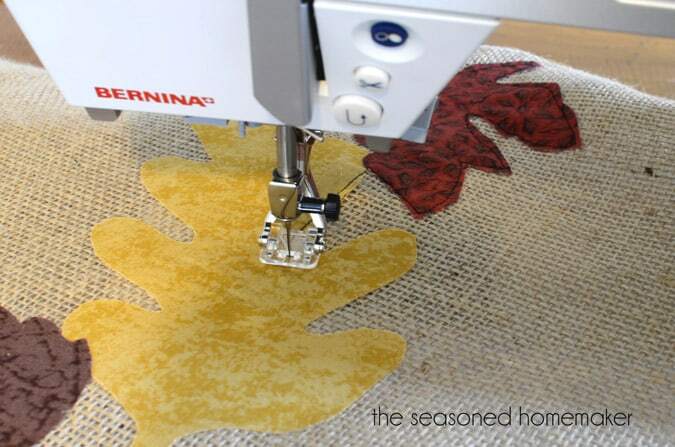 Set your machine on a 3mm straight stitch. Using a contrasting thread, straight stitch around all of the leaves. And, that’s all there is to it. Note: Burlap tends to create a lot of lint so be sure to brush out your machine after sewing. 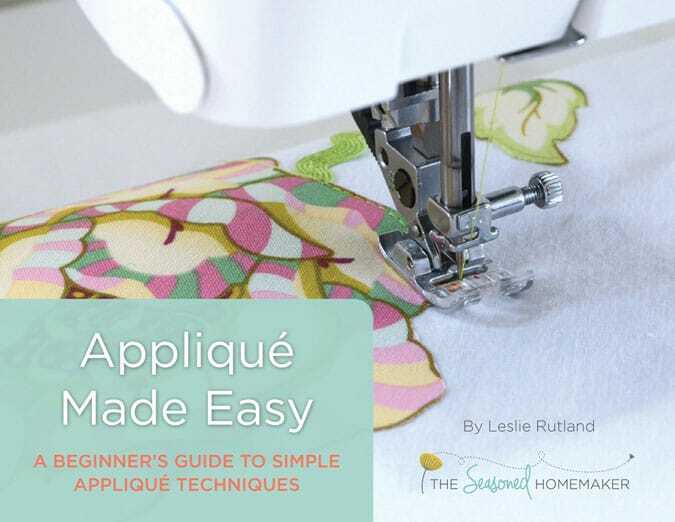 I’ve included a short applique video to better explain. Table runners are my favorite to sew and create because I change them often. Love that you used burlap. This does look super easy! So cute too! I often forget how fun it is to WonderUnder – thanks for the reminder to get it out and make something! 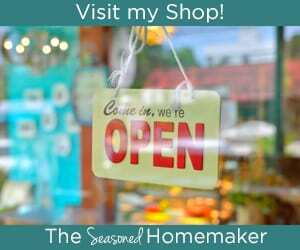 Found your project through the Tip Me Tuesday link up – and glad I did! This is beautiful! I’m thinking hearts for Valentines would be sweet. I made a burlap tablecloth for a ladies event at church. I found that using some masking tape on my cut lines helped manage the amazing amount of lint that comes with working from burlap. So pretty! Great fall decoration! I love table runners and seem to collect them from year to year. This is a great tutorial! Beautiful runner! Beautiful and perfect for your fall table. Thanks so much for sharing this project on “Best of the Weekend” so that I could discover it. Pinning! Wow really love your table runner. 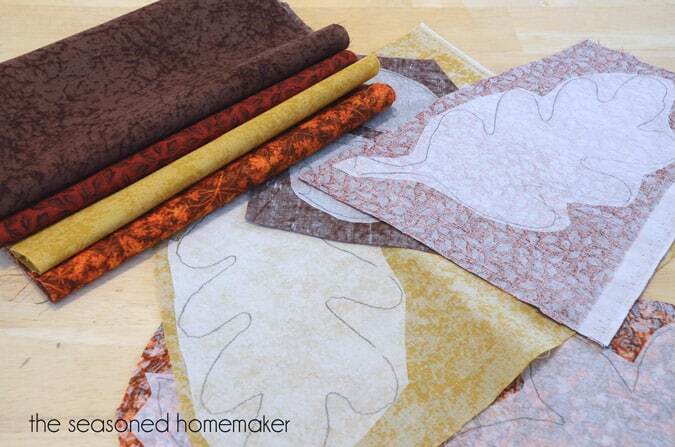 Your choice of fabrics for leaves is so perfect for Fall. Great that you secure edges of burlap to keep fraying, edges will do that. I usually use machine on edges of burlap also. Has been worth the extra time to do it, makes edges look and stay so much nicer. I like to change my table runners with seasons, holidays, use them on coffee table and shutter shelf mostly since we don’t have dining table and chairs, no place for them in our house. It’s just two of us most of time so no big deal. I do miss having table/chairs in a dining area but that’s life I guess. We had nice size dining room in our house in KY before we lived here. (few miles west of Grand Junction, CO). 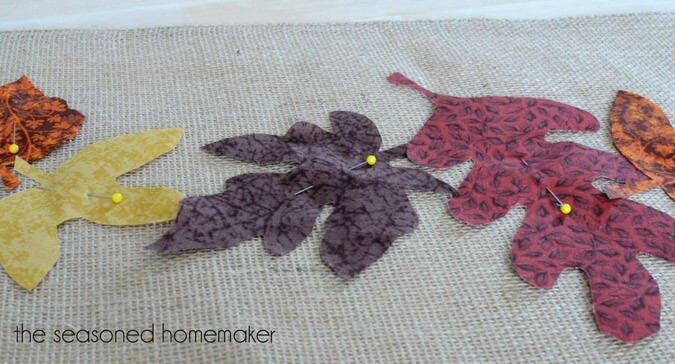 You did such a gorgeous job sewing leaves on your runner. I haven’t made a runner for long time, would be good test for new machine, get used to it. Have great week and Fall season.